Photo of the West Coast Brewer Session Pale Ale. It is actually crystal clear but the glass fogged up a bit from the coolness of the beer. 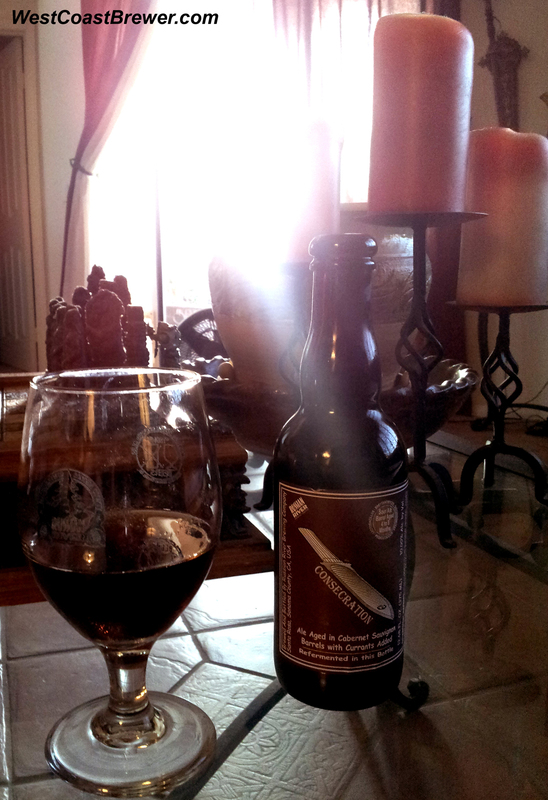 Russian River Consecration has been rated as the West Coast Brewer #1 Sour/American Wild Ale on our Best Beers List. When you think about it, the most important ingredient in beer is actually the ingredient that many home brewers overlook: water. Water is the most prevalent ingredient in beer and has a significant impact on the taste, pH, starch conversion, and overall quality of a beer. 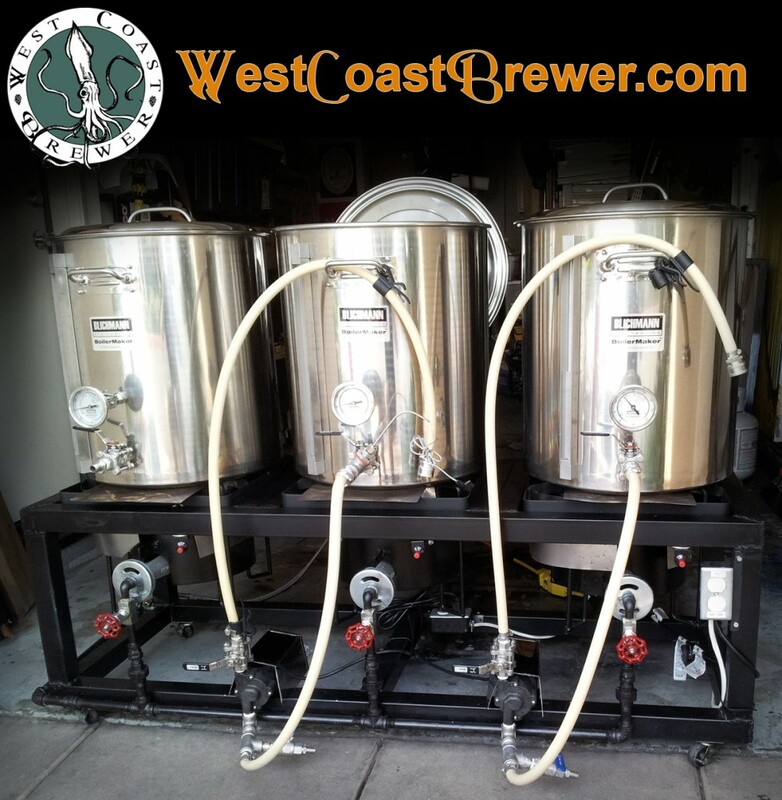 One of the easiest and lowest cost methods for making a significant impact on the quality of your home brewed beer is to simply filter your water with a carbon filter or reverse osmosis system. 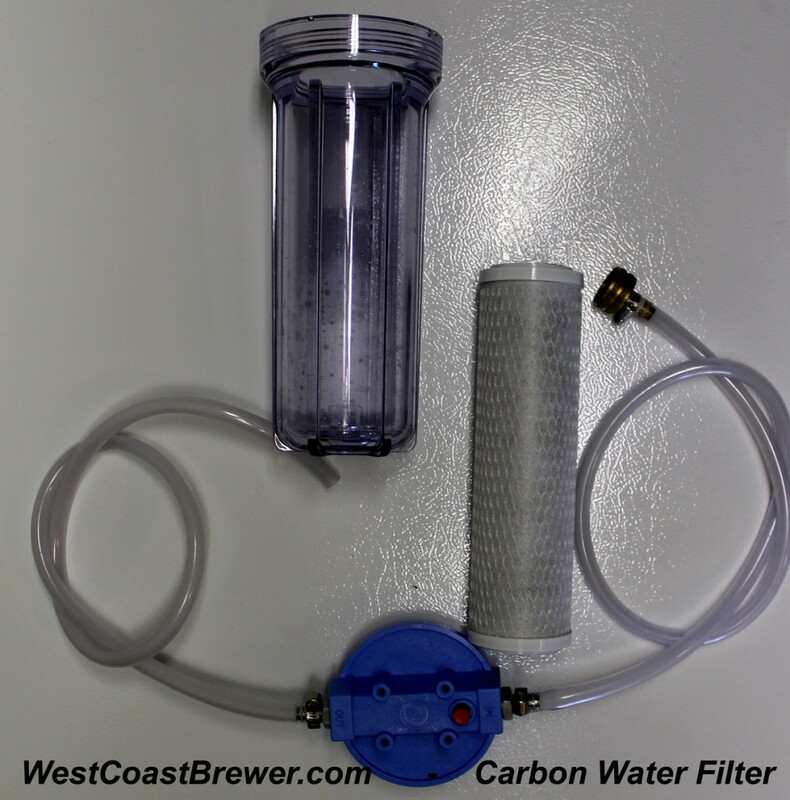 A carbon filter will dramatically reduce the amount of chlorine in your brewing water; chlorine can be responsible for creating off flavors in your beer, and it is important to remove it. Additionally, a good carbon filter will remove a host of other potential contaminants including benzene, radon, pesticides, herbicides, and foul odors from water. Over the last couple of years, both gluten free beer and gluten free home brewing have been becoming more and more popular. A person who is gluten intolerant no longer has to miss out on fantastic beer; you have choices! 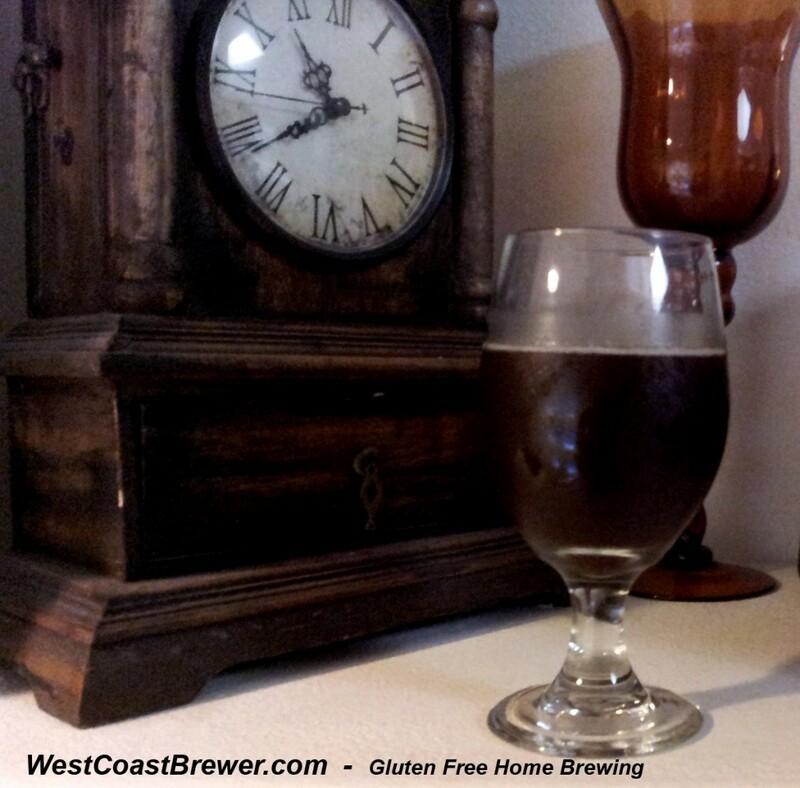 I have brewed several batches of gluten free beer and will be publishing some of my recipes in the upcoming months as well as adding a gluten free category to our best beers list. For the most part, gluten free home brewing is identical to home brewing with non-gluten free ingredients. The only place where it gets tricky is when you need to make sure that you have enough diastatic starch conversion power available in the situation where you are making an all grain batch and are using starch based adjuncts. If you are making an extract batch, you should be good to go. 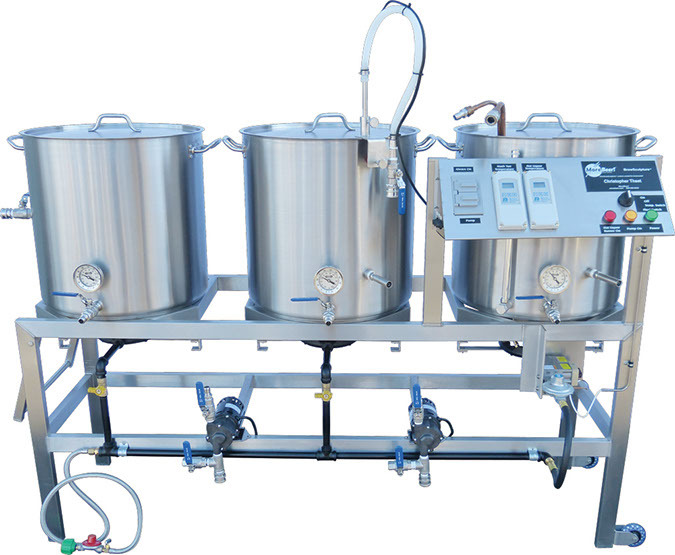 There are a variety of widely available ingredients for gluten free home brewing. The most common ingredients include sorghum liquid extract, brown rice liquid extract, dried rice powered extract, sugar, candi syrup, honey, maltrodextrin, corn, buckwheat, oats, and sweet potatoes. 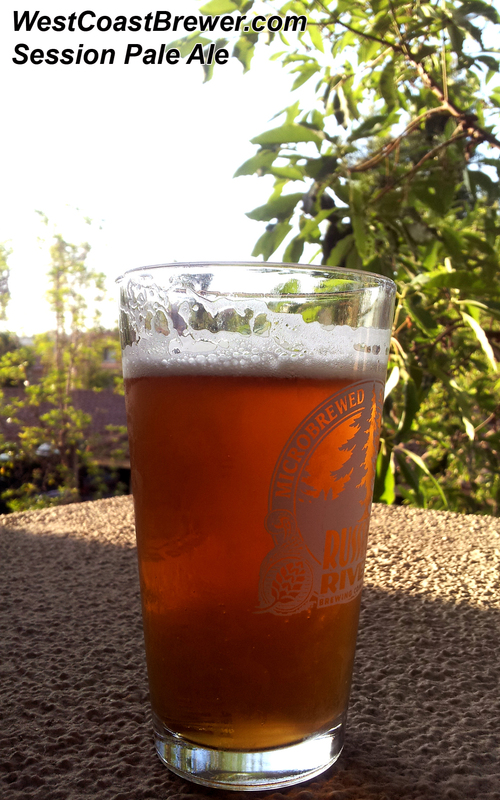 Pliny the Elder has been rated as the #1 Imperial IPA/Double IPA on our Best Beers List. 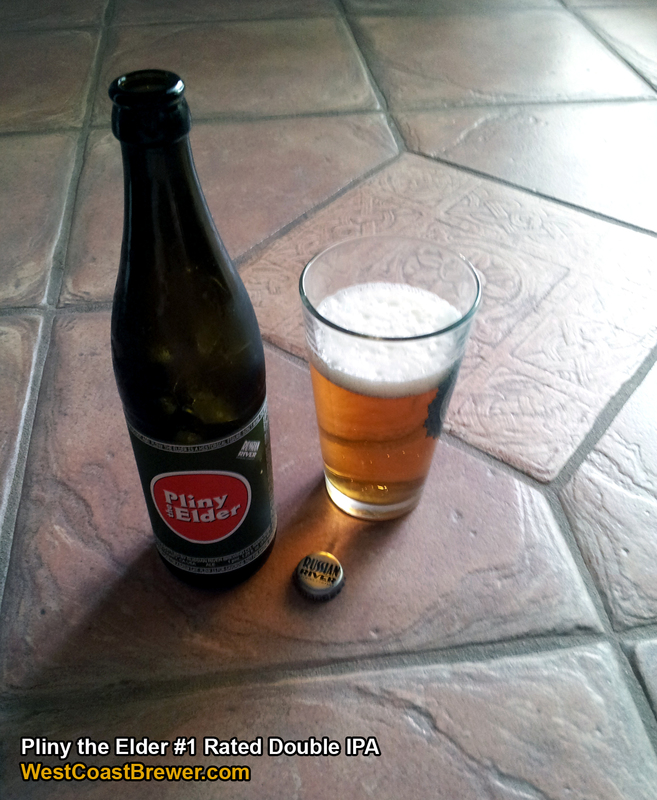 Check out the full beer review here: Pliny the Elder Beer Review, or to view the West Coast Brewer best beer list, you can click here. The following video shows American Wheat Ale yeast in active fermentation. The yeast was taken from the krausen of a beer that had been fermenting for a week. 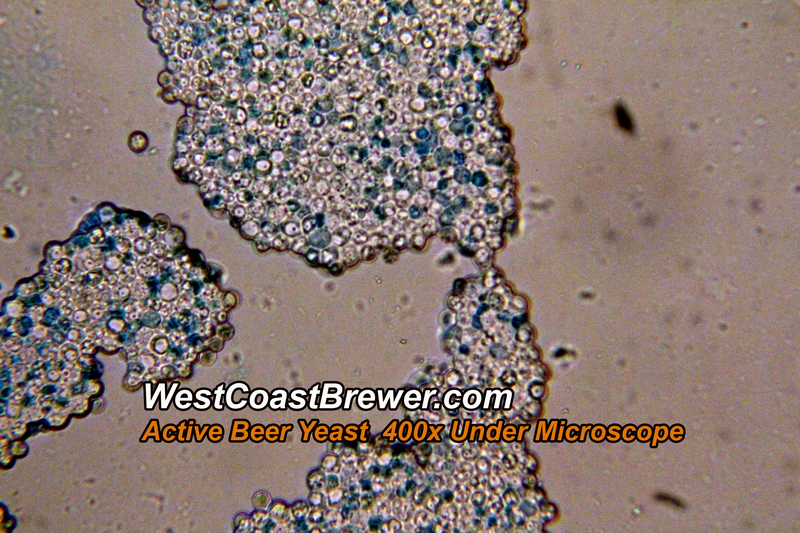 If you expand the video to fullscreen and look closely at the 400x magnification segment of the video, you will see yeast activity where small black specs are moving around inside of the yeast cell walls. The video continues on to show the yeast at 100x and 40x magnification to give you an idea of just how many yeast cells there are on such a small glass slide. An active 5 gallon beer fermentation should have well over 10 billion active yeast cells during primary fermentation. Active beer yeast at 400x magnification shown under a microscope. Below is a video of a two-row malted barley grain shown under the magnification of a microscope. The video allows you to see a closeup of the structure of the grain. The footage was taken under approximately 100 power magnification. 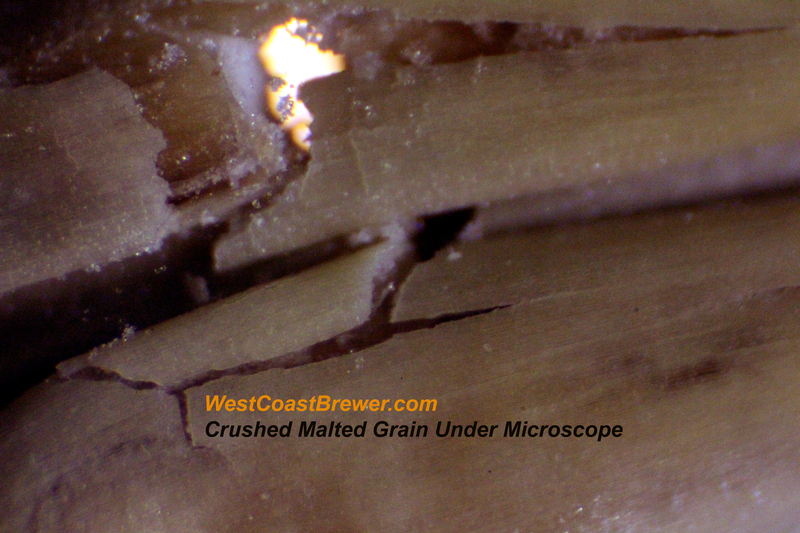 Crushed Malted Barley – Malt shown under magnification. After adding new carboys to my fermentation freezer, I will typically get excess condensation buildup. If left unattended, the moisture can lead to mildew and mold growth in the freezer. To help reduce moisture, I will typically wipe the inside of the freezer down with a dry towel every couple of days and leave a container of DampRid inside. 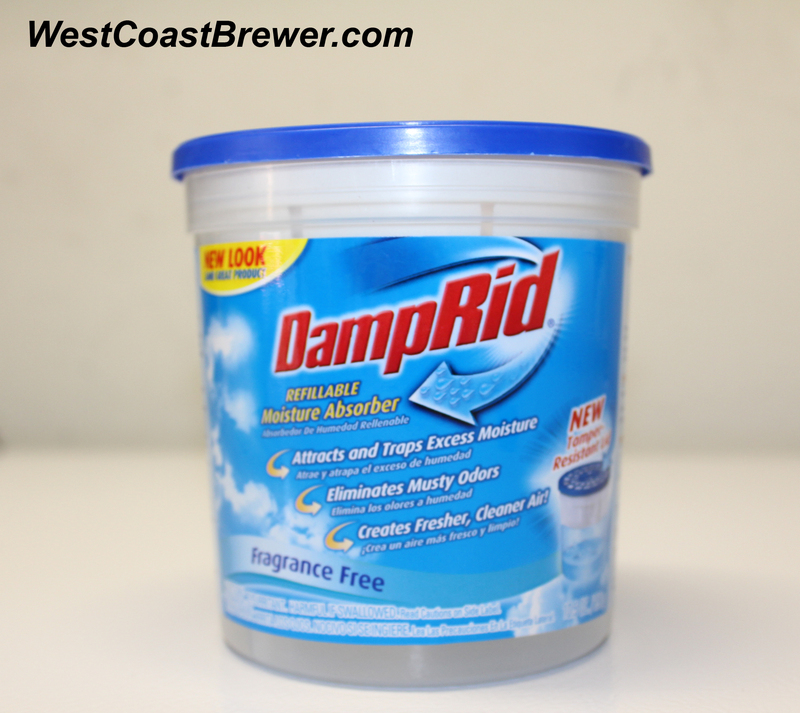 The DampRid does a good job of absorbing the excess moisture and keeps the freezer free of mold. It is relatively inexpensive and usually lasts for a couple of months. I rate DampRid at 4 out of 5 stars. A fermentation freezer or fermentation refrigerator is a freezer or refrigerator that has been converted to a temperature controlled fermentation chamber. Controlling the fermentation temperature of your beer is one of the best ways of improving the quality and taste of your beer. A fermenting beer generates a great deal of heat, and if you live in an area where room temperature reaches 75° F or more, you can have a very difficult time keeping your fermenting beer at an optimal temperature. If a fermenting beer reaches too high of a temperature you can get some nasty off flavors and potentially kill your yeast. 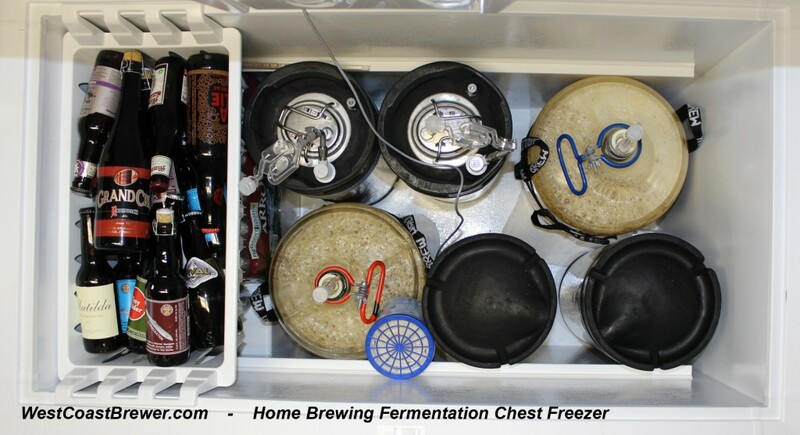 I live in Southern California and when I first starting out in home brewing, I had to try all the tricks to keep my beer cool; I placed my carboys in a plastic tub filled with water, I covered the carboys in wet towels and had a fan blowing on them, but no matter how much effort I put forth, I could not regulate my fermentation temperature nearly as well as my fermentation freezer does. Setting up a fermentation freezer or refrigerator is easy and can be inexpensive as well. I purchased mine when Lowes was having a 20% off appliance sale for around $400, but other people I know have gotten amazing deals on Craigslist for as low as $75. All you need besides a freezer or refrigerator is a temperature control unit like a Johnson Controls Digital Thermostat which you can find here. The freezer that I use is a Frigidaire 14.8 cu ft LFFN15M5HWF, which works great for my needs. It fits two large 6.5 gallon carboys, 4 pin lock conversion 5 gallon kegs that I use for secondary, and about twenty bottles of beer (a.k.a. my emergency stash). I use a Johnson Controls Digital thermostat to maintain the temperature. Best of all, since I use pin lock conversion 5 gallon kegs, which are shorter then ball lock kegs, I did not need to build a collar onto the freezer for additional height. The only complaint that I have is that on occasion I get more humidity then I would like. To combat that, I periodically wipe the inside of the freezer down with a dry towel to remove any moisture and also use a product called DampRid, which helps absorb the remaining moisture.